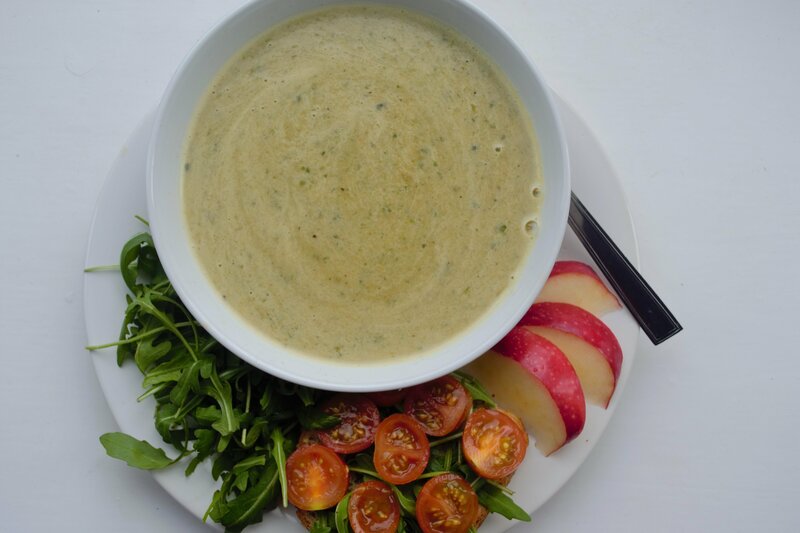 This soup is great for the cold weather that is hitting us and is a delicious use of courgette. 2 chillis, chopped.dash of salt and pepper for seasoning. In a pan, heat up a little olive oil, and then add the courgettes and onion at a high heat. Let these sweat and then add the chopped chilli.Boil a kettle and prepare the stock while this is cooking.Add a can of coconut milk to the pan of veg, and turn this down to a medium heat.Add the vegetable stock and cook until vegetables are softened. Take off the heat, allow cool, then blend up until smooth and serve warmHave you tried this recipe or have any tips of your own? Comment below to add your thoughts! Don’t forget to tag us in your recreations on Facebook! ← Buckwheat Bread Recipe: Gluten Free!